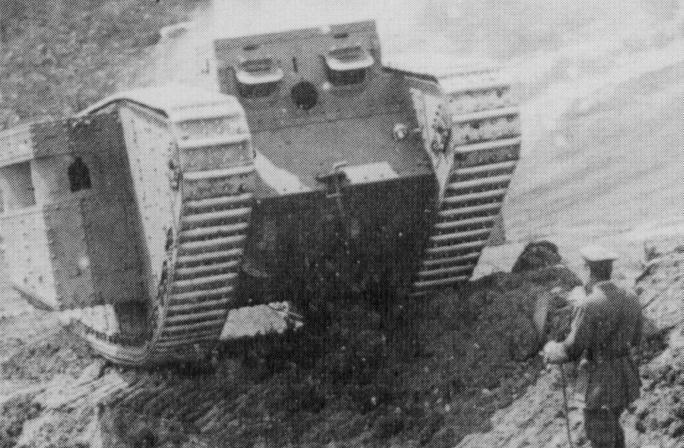 Like the Mark II, the Mark III was essentially a stopgap tank used for training, waiting for the arrival of the upgraded Mk.IV, the true successor of the Mark I. There are no extensive records of how much they were modified compared to the Mark I or II, and few photos survived to bring other clues to the table, if any at all. WW1 Mark III Male tank used for training at Bovington. Notice the sponson hatches and roof hatch are open. It must have been a warm day by the look of the shadows. Guns were not normally fitted during driver training. Essentially, the Mark III was identical to the Mark I and II with the same supposed use of soft armor, but hard evidence for this is plainly missing. Females used lighter Lewis machine guns in smaller and lighter sponsons, which are the only way to clearly distinguish the type. This batch of 50 vehicles was designed to incorporate all the Mk.IV improvements when ready, so as to train new recruits for the Mark IV/V series. However, the development of these features took such time that the Mark IIIs were apparently delivered as is. None ever left Great Britain. Like the Mark I and II, some had broader links every five links for better grip. Other differences with previous models included a thicker armour at the front, 16 mm (0.63 in), while the side armour was pushed to 12 mm (0.47 in) and the roof was protected by 8 mm (0.31 in). The barrels of the Hotchkiss guns were also shortened significantly, as they often got stuck in the uneven terrain or got clogged in obstacles. This is also the easiest way to distinguish them from other early rhomboid tanks. The Mark IIIs had ninety 53 cm broad links which ran on two rails on ten upper return rollers made of bronze. The lower part rolled on 26 road-wheels of which one out of three was clamped. 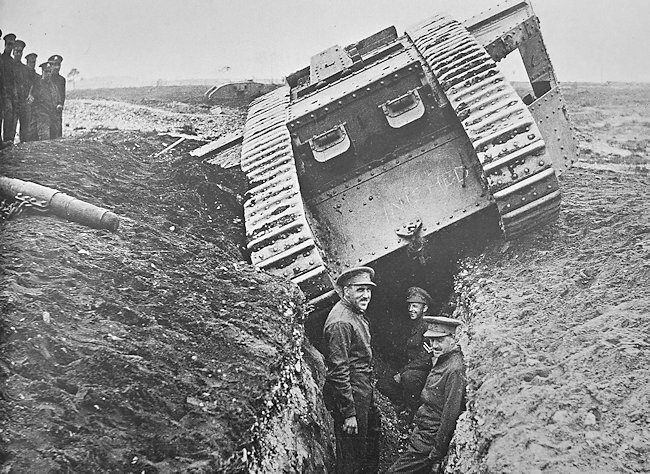 Mark III Female WW1 training tank. The machine guns are not fitted to the tanks whilst the students drive around the course. The crew hatches are fixed open to improve ventilation. Contrary to the Mark II, of which at least 25 were sent in France to see action, no Mark III left Great Britain’s shores. 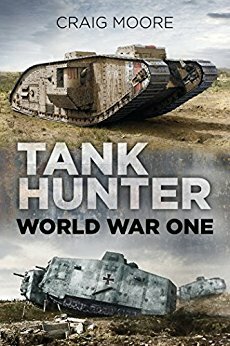 These tanks were used for training until the end of the war, a task which became more important as more tanks were fielded by the Army each month, culminating with prospects of 3,500 tanks by the time of the armistice. Two managed to survive until WW2, to be dismantled, scrapped and recycled for other uses. 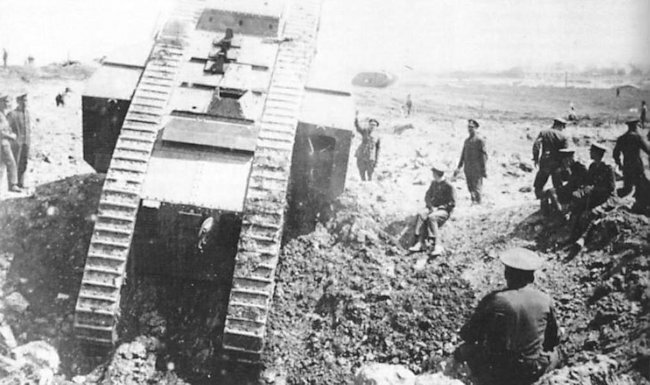 A Mark III tank seen here during manoeuvres with old Mark I style Female sponsons. They were later fitted with the newer shorter length female sponsons and larger crew escape hatches underneath. Initially, the Mark III Male training tanks were fitted with the long barrel 6pdr gun used on the Mark I tanks. Photograph taken at Bovington Camp. 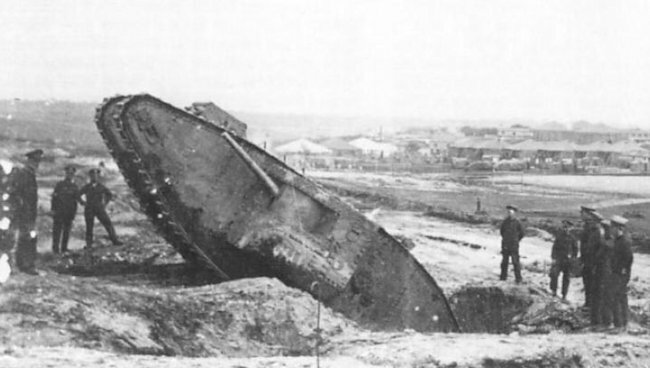 The Female Mark III tanks were also used as training tanks. 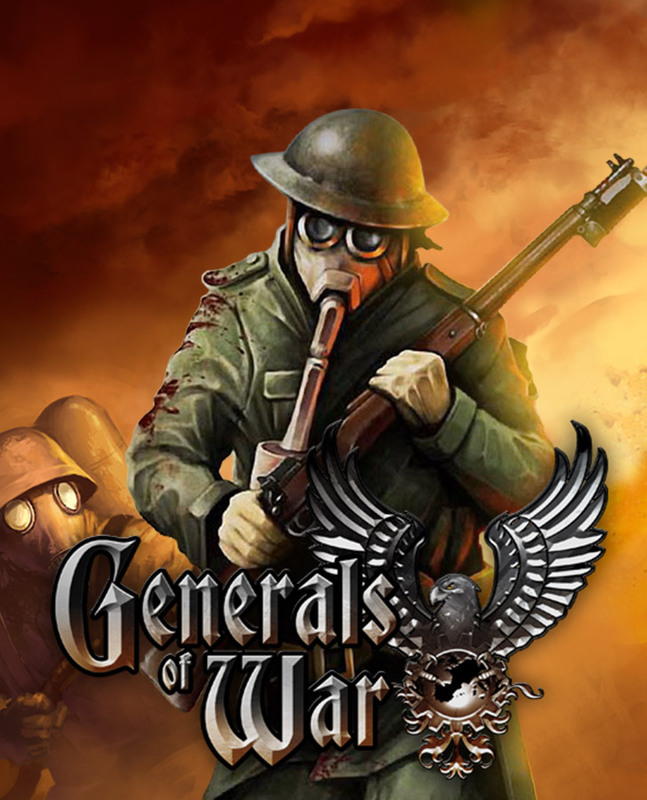 They were armed with two 0.303 inch (7.62 mm) Vickers water-cooled machine guns on either side in sponsons and a 0.303 inch (7.62mm) Hotchkiss air-cooled machine gun in the front. This tank was later used as a ‘presentation’ tank. It was given to the people of Bately in Yorkshire to be used as a war memorial. It was the government’s way of saying thank you for raising money to fund tank production. No Mark III tanks survived the scrap metal merchant’s blowtorch. They were built as training tanks and not used in combat. 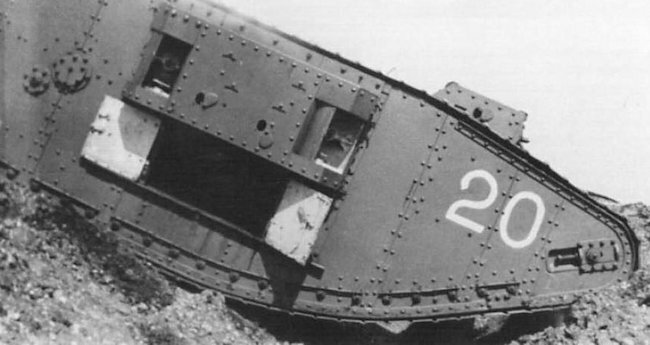 This is a Male Mark III tank. They were armed with the long barrelled 6pdr gun but this was later replaced with the short barrelled 6pdr gun and they were also later fitted with the new style sponsons.